These traditional soft and sweet little buns are easier to make than you think and the best part is- they are gluten free! This is a sponsored post on behalf of Bob’s Red Mill however all opinions expressed are my own. 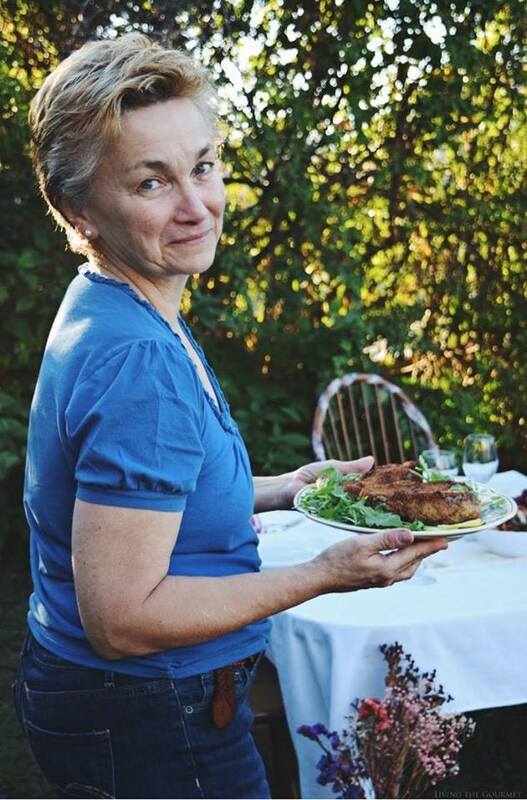 At some point, we recognize when an object, custom, or ritual crosses the line into becoming ‘iconic.’ Perhaps after a few years, or a generation, a certain recipe prepared for a certain occasion stops being either merely ‘beloved’ or ‘traditional,’ and starts to wholly embody the occasion. Decorated trees at Christmas, for example, or Mirror balls being dropped from skyscrapers on New Year’s Eve. Similarly, along with bunnies and molded chocolate, Hot Cross Buns have come to symbolize the Easter Season – in particular the end of Lent. While not as ‘deliberately nonsensical’ as dragging a fern into the living room to string with electric lights (fire hazards be damned), or as faux-audacious as dropping crystal balls from skyscrapers, Hot Cross Buns nevertheless found themselves outlawed by the government of Queen Elizabeth I, to be sold and consumed solely at Christmas and Good Friday. A tad odd, I think, considering they’re a quaint thing, really. Humble of ingredients and flavor, almost purposefully simple, and thoroughly antique as if reaching back to a bygone era. I can’t help imagining “Black Market Bakers” selling these in the alleys between pubs, or in graveyards past midnight to Hot Cross Bun-craving Londoners in desperate need of their spice cake fix. The precise origin of these once fugitive buns is, like most such traditions, largely lost to time. 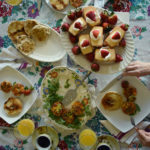 Some attempt to link the eating of hot cross buns to ancient Greek and Roman festival food, where small spiced cakes were common fare for the attendees. However, I can’t really imagine how Hellenic era festival food would vanish for several millennia only to reemerge in Elizabethan England. 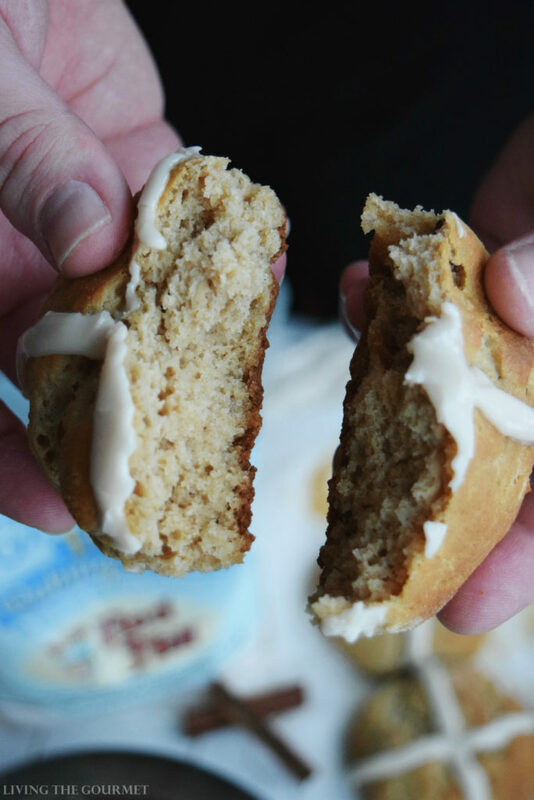 Others link the buns to St. Albans Abbey in the thirteenth or fourteenth century, with monks piously marking their food with iconographic…frosting? 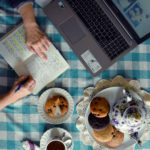 Growing up, I must admit that we bought rather than baked our Hot Cross Buns, and that they were almost exclusively a morning treat, or eaten midday with black coffee. However, today, no Easter arrangement in my home would complete without these now coveted cakes. 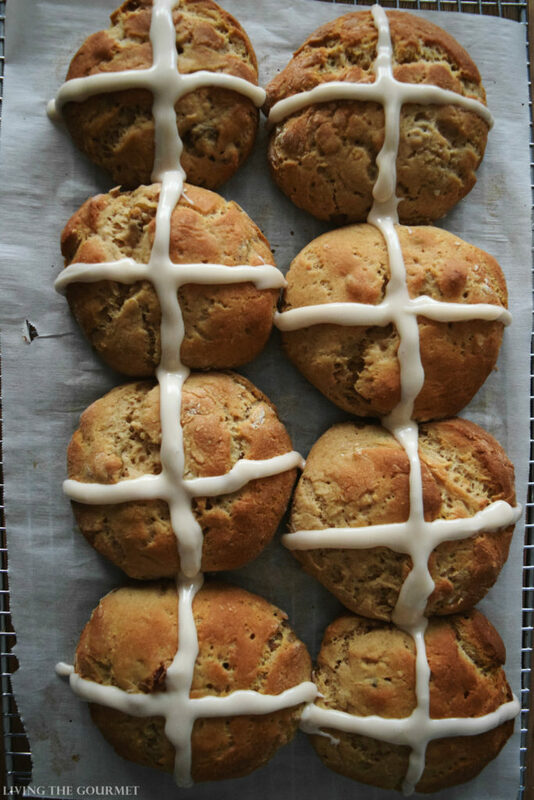 There is but a single caveat to the Hot Cross Buns in my home – and that is they need to be gluten free. You see, my niece suffers from a gluten allergy, and I wouldn’t even think of preparing a batch of these without her being able to enjoy them. For precisely that purpose, I use Bob’s Red Mill Gluten Free 1-to-1 Baking Flour. I use Bob’s Red Mill for a couple reasons, first being that it’s perfectly formulated for baking, assuring a delicious taste and perfect texture. This means that no additional specialization or customized recipes are necessary when using this flour. That being said, we start things off by proofing our yeast as directed below. While that sets, soak some raisins in hot water until their nice and plump. 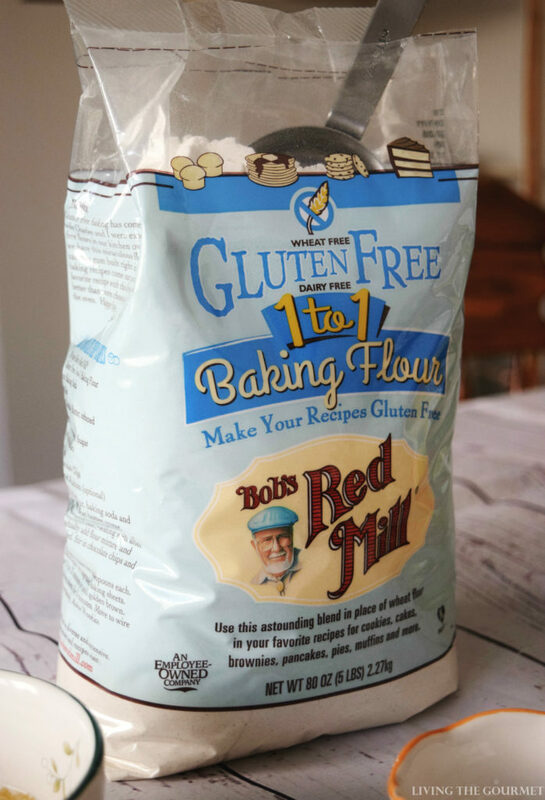 Up next, mix together the Bob’s Red Mill Gluten Free 1-to-1 Baking Flour with the rest of the dry ingredients. After that, gently heat about a cup of milk, and whisk in an egg and vegetable oil. Then add in the dry ingredients, the proofed yeast, plumped raisins (or currants), and stir until thoroughly combined. If you’ve done this all correctly the dough should be wet and sticky. Now, cover the dough with a towel, and place in a warm dark place to rise. It should just about double in size within an hour. Once the dough has risen, work the dough into a ball as described below, and then cut into eight equal parts, and then set them aside to rise a second time. No kneading necessary. Again, they should about double in size. After that, bake them at 400 degrees Fahrenheit for about twelve to fifteen minutes, and you’re done. Proof the yeast first by mixing the yeast and sugar in 1/2 cup warm water. Let the yeast stand for 10 minutes until foamy. Soak 3/4 cup raisins in 1 cup hot water to let the raisins plump up. Set aside. (Remember to drain the raisins before adding to the dough). In a large bowl, whisk together flour, salt, sugar, cinnamon, baking powder and baking soda. In a large pot, heat 1 cup milk until very hot but not boiling. Let the milk rest until warm. Whisk in egg and vegetable oil to the warm milk. 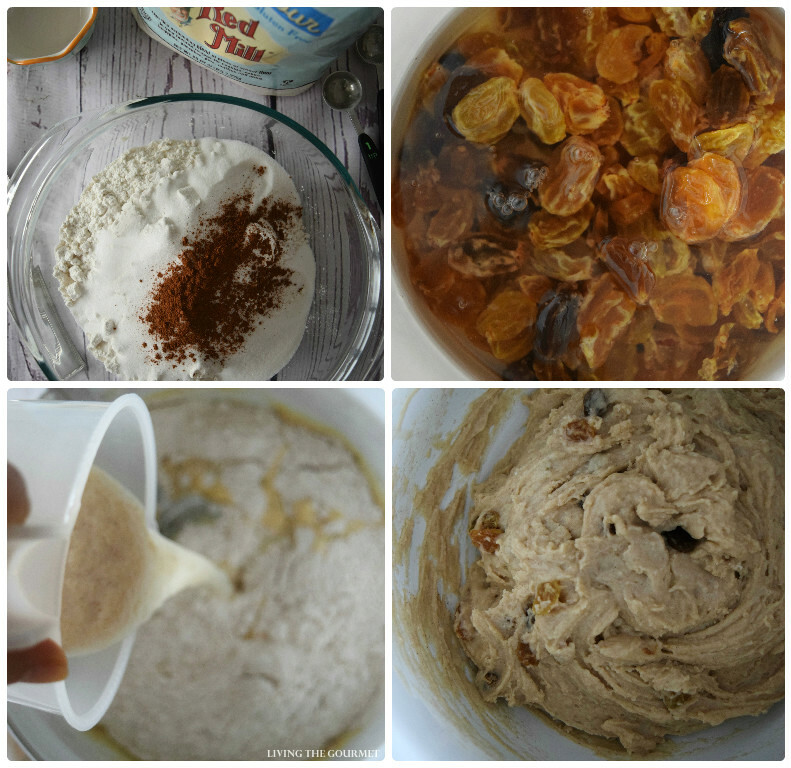 Add the dry ingredients, proofed yeast and drained raisins to the milk mixture. Stir until combined. The dough will be wet and sticky. Cover the dough with a towel and place in a warm dark place to rise and double in size, about 1 hour. Turn the dough over to a well floured surface and shape into a ball gently. 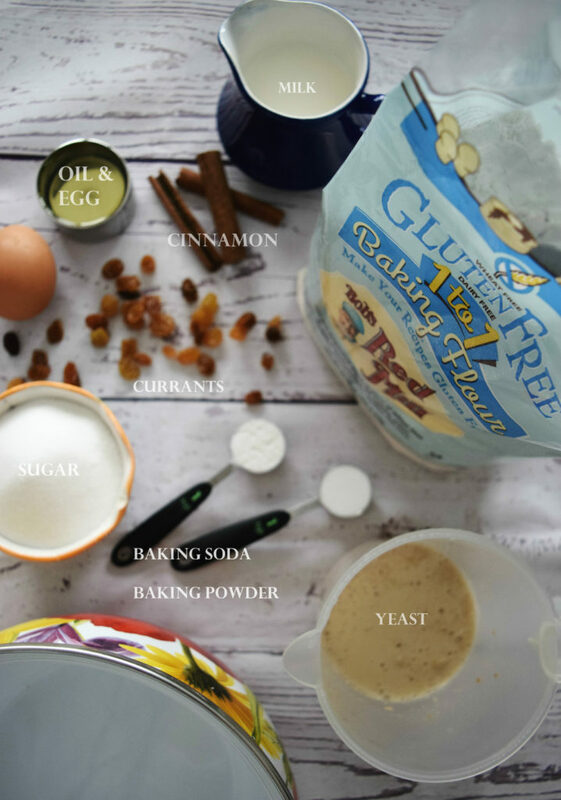 Since this is gluten free you do not have to knead this dough. 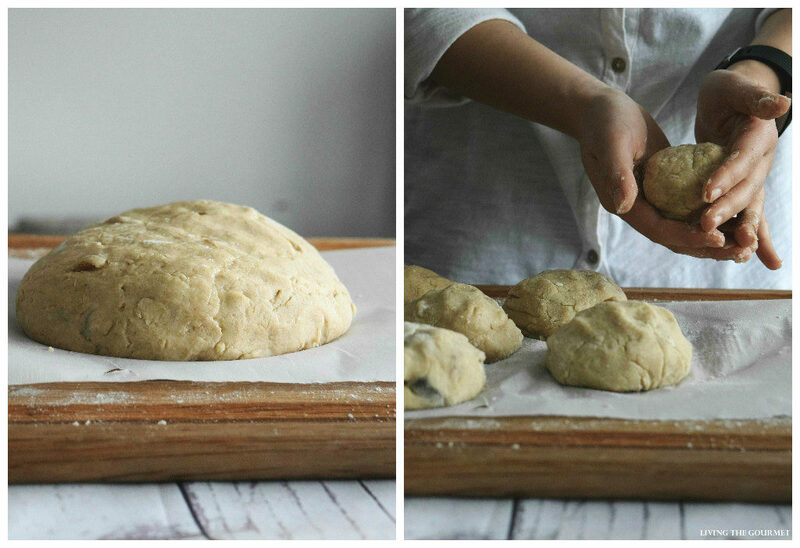 Divide the dough into 8 equal parts. Shape each piece into a ball and place on a parchment lined baking sheet. Let the dough rest again until each bun has doubled in size. Preheat oven to 400 degrees F. Bake the buns for 12 - 15 minutes, until nice and golden. Remove and let cool on a cooling rack. In small bowl combine confectioner's sugar, vanilla, and milk. Whisk vigorously until all the clumps are out. You want the icing nice and thick, but if it's too thick add more milk 1 teaspoon at a time. Transfer the icing to a piping bag and pipe a cross over each bun. Serve and enjoy! What are some of your favorite Easter treats? We would love to hear from you. They look so yum! Have never used the products from Bob’s Red Mill. The result looks pretty good. I can't wait to have my first hot cross bun of the year. No I can make them for gluten free friends too. I love finding out a little history about the food I enjoy eating. 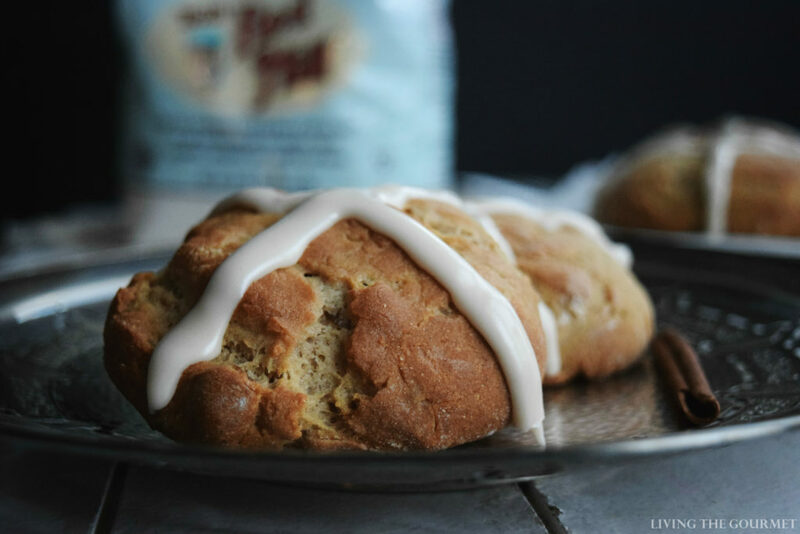 Black market HX Buns is news to me but let's face it, they are like gold over Easter. I love your gluten free version. Beautiful little buns and your pictures are amazing. All I need now is a cup of coffee to enjoy one of the delicious beauties!! These look too delicious to be gluten free! Yummy! I love how simple this recipe is too. I can definitely see myself making a batch to last through the week for a little treat here and there. Thanks for sharing! That IS odd for that hot cross bun sale ban. So many strange things in history. Nonetheless, glad we can enjoy them whenever the heck we want lol. 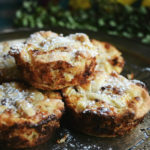 These look fabulous and I love that they are gluten free. Oh wow I really enjoyed the history and beautiful bake that accompanied it! Thanks for sharing the knowledge! We've got a gluten allergy in the family! I have got to try making these! They look delightful!!! 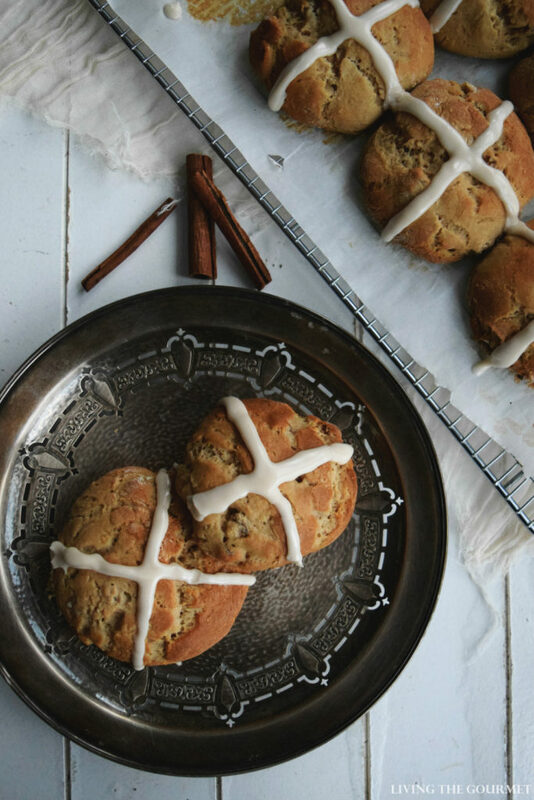 Those look so good, I don't think anyone would be able to tell them from regular hot cross buns! 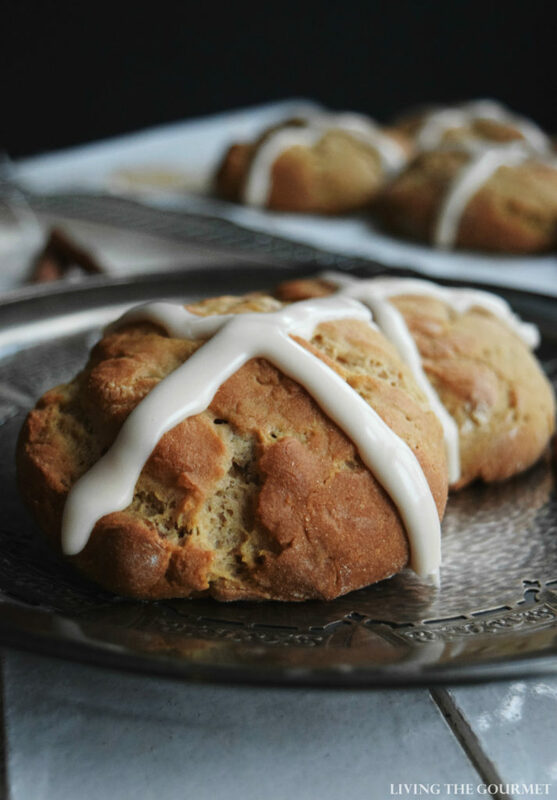 These gluten free hot cross buns look so tender and delicious! They're the perfect addition to any Easter menu! 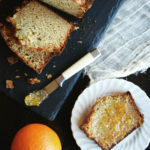 I have a friend that cannot have gluten, so I will definitely share this recipe with her. And I have never made hot cross buns! I need to add these to my Easter table. I have always wanted to make these for Easter. I will do it for sure this year! I have used so many of Bob's Red Mill products like the gf oats and coconut flour, but I haven't tried this 1 to 1 baking flour. You made hot cross buns look so easy to bake. Pinning so I can give this a try! I only heard about hot cross buns last year. It just wasn't part of Easter tradition in Manila where I'm originally from. And I have been planning to bake them since! Now I really should. These look sooooo delicious! These sound so delicious! 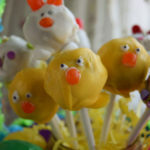 I have to make these for Easter! These buns look so delicious! I can't wait to make them! can you use a pan spray coated ice cream scoop or similar to portion the dough? Also, this flour usually won't work with yeast breads like sandwich loaves. I'm glad to know it will work with this recipe!! Hi Billy, thank you for stopping by! Great question. Honestly, I have not tried it that way. I just divide the dough in half that divide the halves. That is what works best for me. 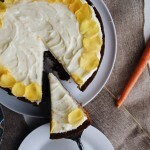 Hope you try the recipe and enjoy! These look so delicious I sure can't wait to bake some!